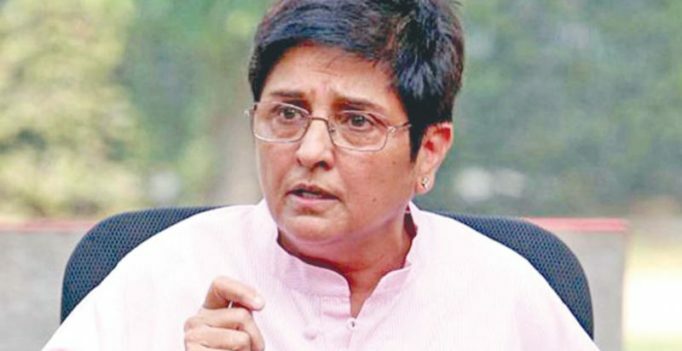 Puducherry: Puducherry Lt Governor Kiran Bedi suggested various departments to computerise the personal records of government officials and to create an entire data base of service personnel to make best use of the human resource available. In her monthly mesaage the Lt Governor said that Raj Nivas will be giving priority to personnel matter along with other works. “A service history will be created of each personnel including his posting, training details and competencies which would be captured electronically so that transfers and postings are made to best utilise the human resource”, said Ms Bedi in her message. As it is revealed that human resources in each department are being diverted widely, the Lt Governor directed the heads of each department to ensure that there is no unauthorised diversion of human resources. For long Raj Nivas has been stressing upon each department to come up with a service calendar with at least one training at a month. Stressing on the importance of conducting trainings the Lt Governor said that in order to hone the skills of human resource and for the head of the departments to know the competencies of the personnel delivering services periodical workshops and trainings are must. Disposal of pending files, carrying out field visits, review of unutilised public buildings, completing of annual appraisal reports and financial prudence were the other suggestions made by the Lt Governor.